From data supplied by Worshipful Brother Thomas C. Hirst, last of the Charter Members of Yellow Springs Lodge No. 421 to pass to his reward. 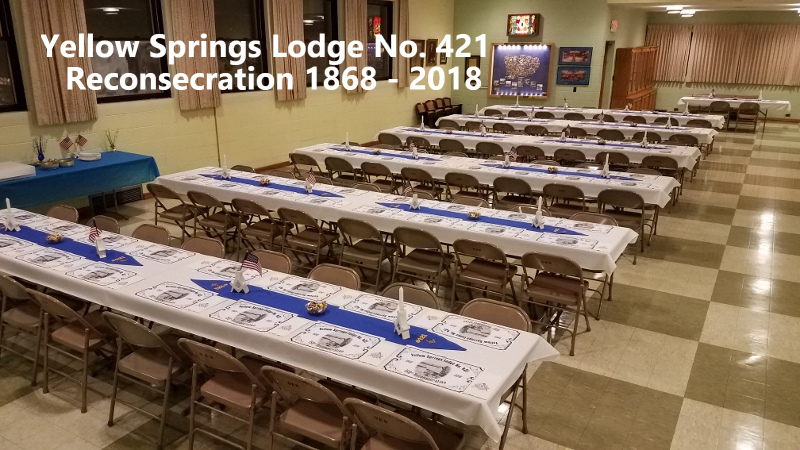 HISTORY Note to the Brethren of Yellow Springs Lodge No. 421, F. & A.M. 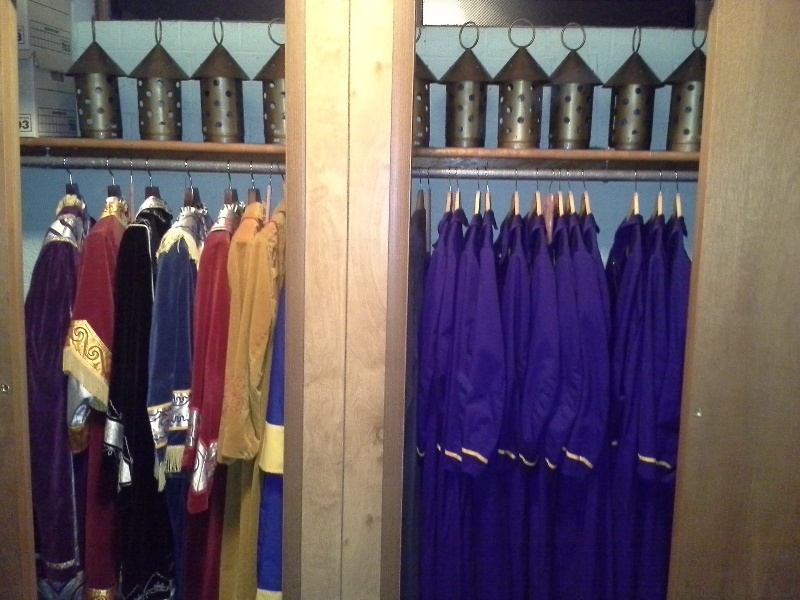 Following is a brief history of the Yellow Springs Lodge No. 421, F. & A.M., which was compiled and documented by Worshipful Brother Leon O. Reed (Historian) on 5 Nov. 1940. 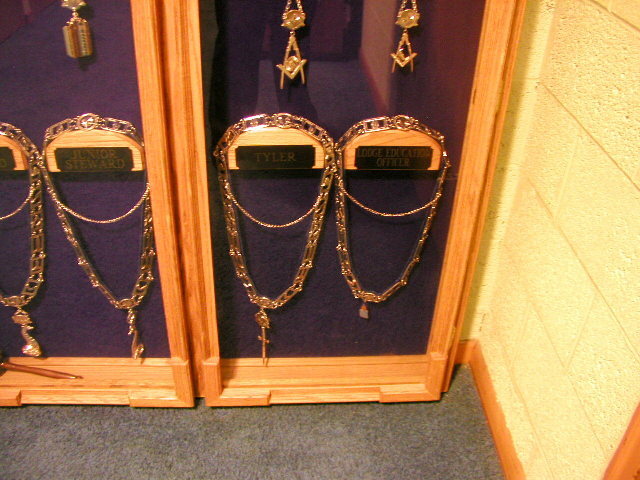 Although the original copy cannot be located to date, this carbon copy was in the possession of Brother James Sidders (a member of the Xenia Lodge No. 49). When Brother James Sidders was informed that the lodge was going to celebrate its 100th anniversary on 21 Oct. 1968 and that there was no written history available in the archives of the Yellow Springs Lodge prior to the writing of the 100-year history, he was kind enough to contribute this copy which is presented to the Lodge at a special meeting conducted on 29 Nov. 1968. 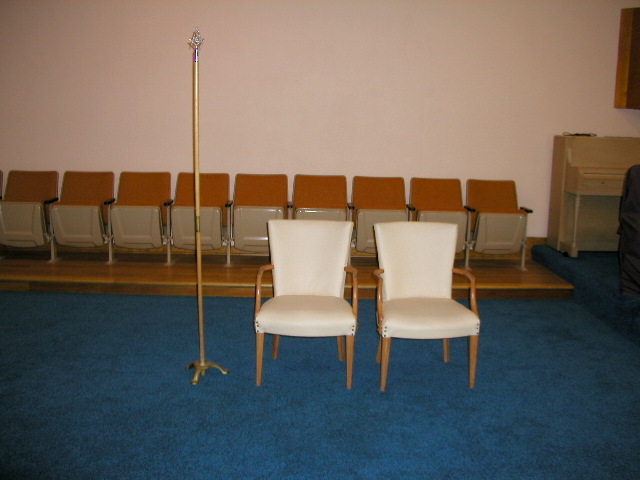 This special meeting was called for the purpose of installing the Worshipful Master Elect (Robert N. Coulter) for the year 1969. The Lodge extended a sincere vote of thanks to Brother Jim for his thoughtfulness. Brother Jim was assured by the Lodge Historian, as well as the Worshipful Master, that this copy would be placed in safe keeping and preserved for the future generations to read and enjoy. During the summer of 1868 eight Master Masons living in Yellow Springs desired to organize a lodge. However, none of them had ever served as a Master of any Lodge. 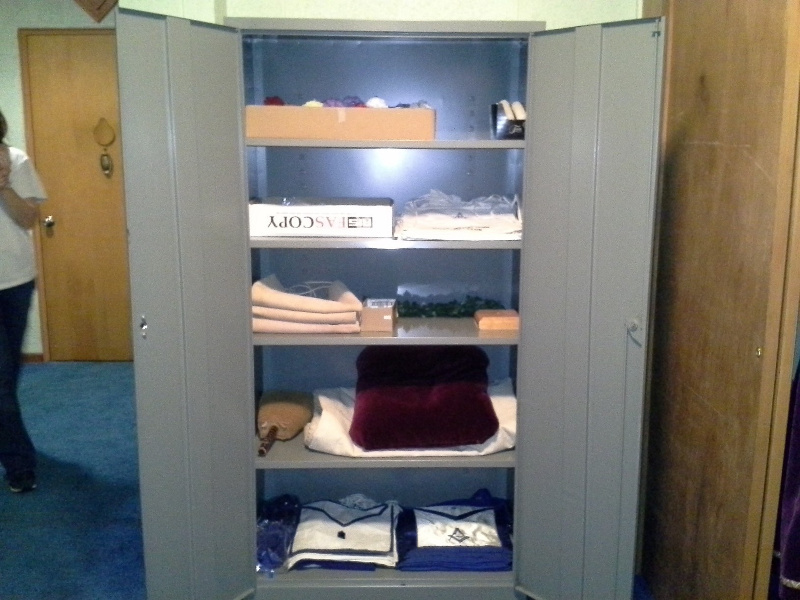 This difficulty was taken care of by Worshipful Brother’s Harvey Vinal and Robert B.V. Christy of Clark Lodge No. 101, Springfield, who withdrew their memberships from Clark Lodge and assisted the Yellow Springs brethren in organizing. On August 19, 1868 M.W. 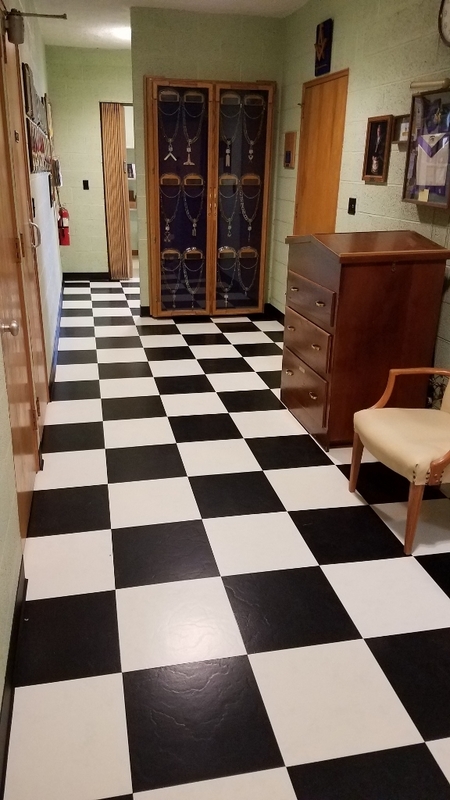 Brother Howard Mathews, Grand Master of the Grand Lodge of Ohio, granted a dispensation of the Yellow Springs masons to work and transact business. The Grand Master appointed the following named officers to act until such time as an election could be held. Worshipful Brother Vinal was the Most Excellent Grand High Priest of the Grand Chapter, Royal Arch Masons, of Ohio, in 1862. 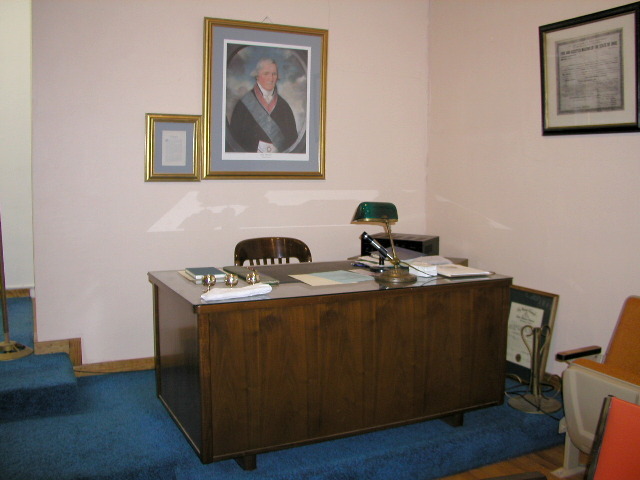 During his life he held offices in the local York Rite bodies of Dayton and Springfield and in some of the York Rite Grand Bodies of Ohio. Also he was the High Priest of Urbana Chapter U.D., now No. 34. On October 21, 1868 the Grand Lodge granted a charter to Yellow Springs Lodge, assigning the number 421. On November 23, 1868 Brothers W.G. Whitehurst and C.P. Hart presented demits and where admitted to membership. 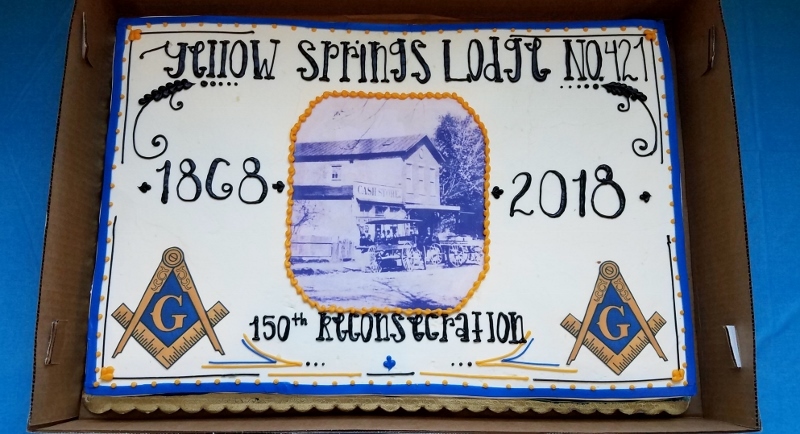 August 19, 1868, Howard Matthews, Grand Master, F. and A.M. of Ohio, granted a special dispensation to Yellow Springs Lodge empowering it to work and transact business. October 21, 1868, a Charter was granted with power to confer degrees and transact all Masonic Business. 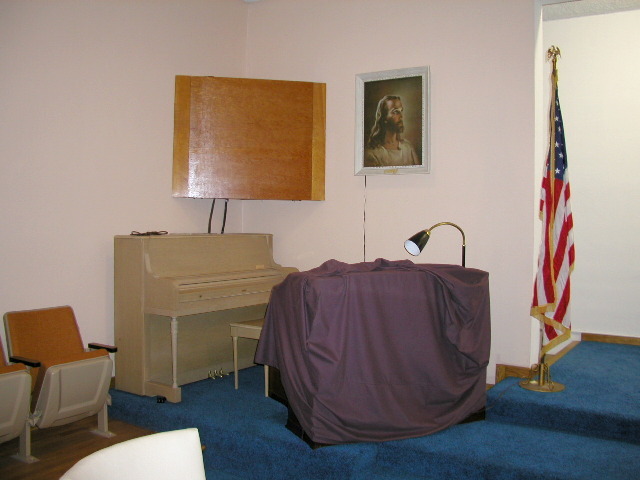 Lodge began work in the second story room in the Haffner Building (Xenia Avenue), using this location for two years. In 1870, Hirst Brothers erected the building where the Lodge now meets. Here it remained for ten years, then moved to the Hopkins Building on Dayton Street, where it remained for a few years, then moved to the Denormandy Building, Xenia Avenue. Yellow Springs Lodge was organized in 1868, as above stated. The group applying for a dispensation and later a Charter was composed of eight local Masons, and two Past Masters of Clark Lodge No. 101, Springfield, Ohio. The Worshipful Master, U. D., was W. Bro. Harvey Vinal. 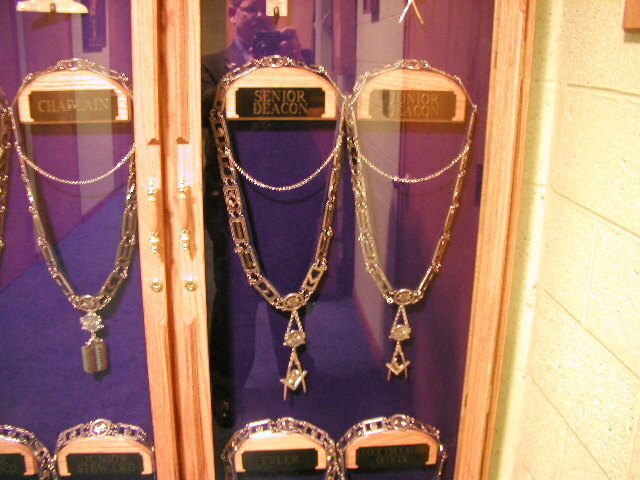 The Proceedings of the four York Rite Grand Bodies of Ohio contain many statements concerning this distinguished Mason. In 1862 he acted as the M. E. Grand High Priest of the Grand Chapter, R. A. M., of Ohio. Before moving to Springfield, Ohio, where he spent the latter years of his life, he had lived in Dayton, Ohio. 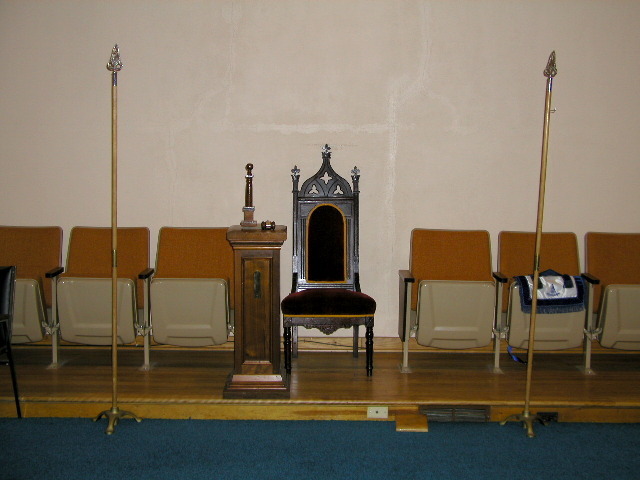 In Dayton he had acted at the Worshipful Master of St. Johns Lodge No. 13, in 1842 and 1843; Illustrious Master of Reese Council, No. 9, Royal and Select Masters. After moving to Springfield he served as Worshipful Master of Clark Lodge No. 10, 1860-61-62; as High Priest of Springfield Chapter No. 48, R. A. M., 1855-56-57-58-59; as Thrice Illustrious Master of Springfield Council No. 17, 1959-60-61; as Eminent Commander of Palestine Commandery No. 33, Springfield, 1885. He also served as organizing High Priest of Urbana Chapter No. 34, Urbana, Ohio. 1875, 62 members; 1880, 30; 1885, 41; 1890, 43; 1895, 43; 1900, 47; 1905, 62; 1910, 103; 1915, 109; 1920, 134; 1925, 209; 1930, 264; 1935, 238; 1940, 218. The membership of Yellow Springs Lodge has included men nationally recognized in many activities—business, professionally, politically. Included in the last-name group should be mentioned Simeon D. Fess, at one time President of Antioch College, Yellow Springs, and later United States Senator of Ohio. In Masonry he attained the rank of Thirty-third Degree in the Ancient and Accepted Scottish Rite, Northern Masonic Jurisdiction. It is the opinion of the writer that Bro. 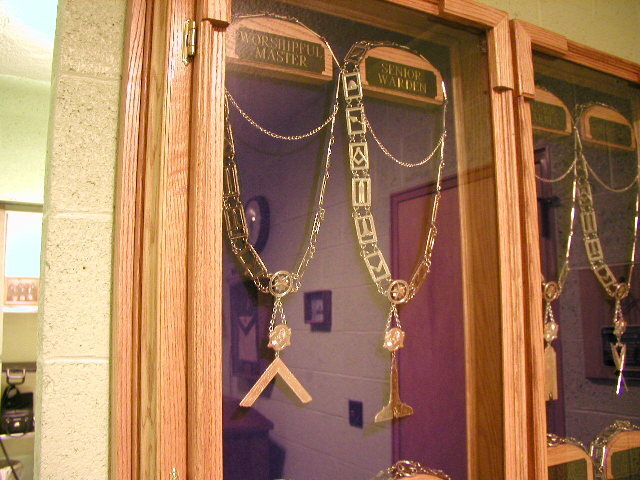 Fess is the only Mason of Greene County, up to the present time, to attain the rank of Thirty-third Degree. When the U. S. Army Post was organized at Fairfield, Ohio, during the World War, this territory came within the jurisdiction of Yellow Springs Lodge. In the 1920’s two cement plants were put into operation near Fairfield. During the same period the town of Osborn was moved from its former site, some two miles north of Fairfield, to its present location just east of Fairfield. These activities, brought capital and citizens into our jurisdiction, and our Lodge profited thereby. 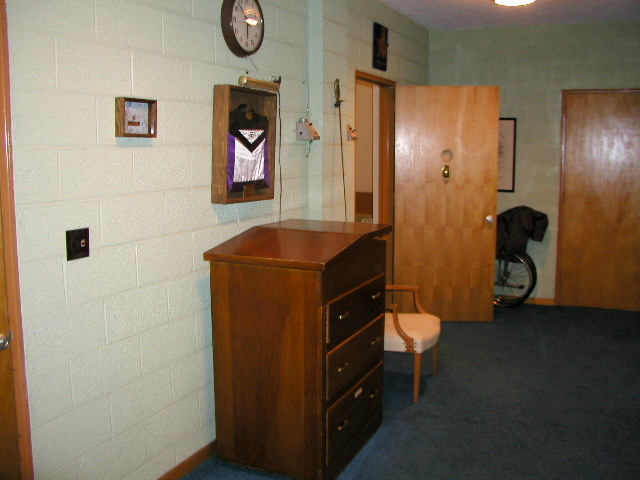 In 1932, Michael L. FINNELL Lodge was organized at Fairfield by more than seventy Masons. 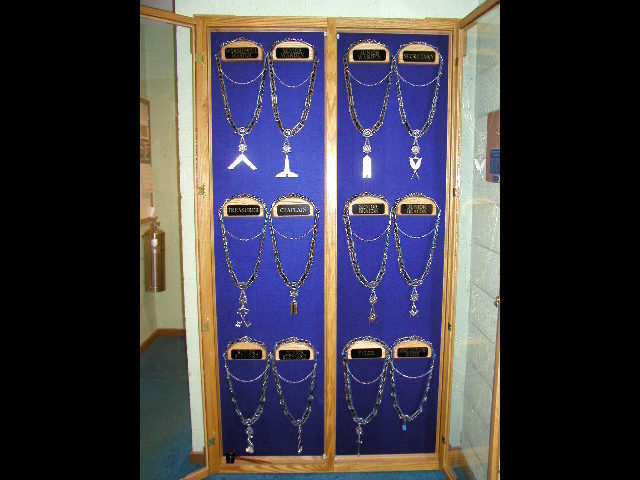 In this organization, Xenia Lodge No. 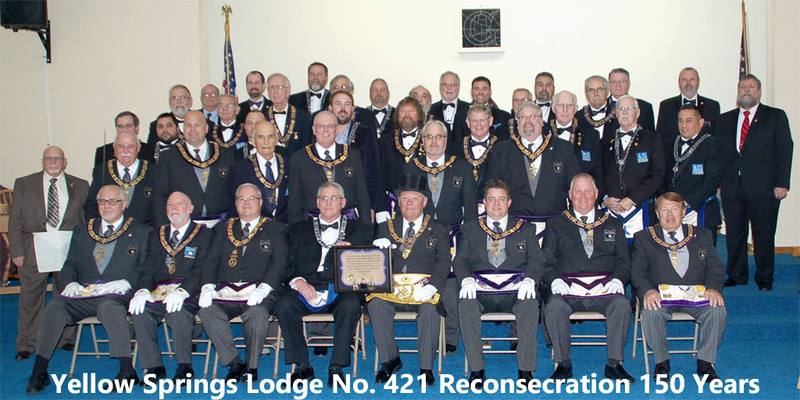 49 furnished three members; Yellow Springs Lodge thirty-eight; and most of the rest transferred there from New Carlisle Lodge No. 100. In addition to this loss of membership, and loss of dues there from, Yellow Springs Lodge lost jurisdiction of that part of its territory where most of the active money was in evidence, and from which during the years immediately preceding most of its petitions had been received. But one should consider the advantages to Masonry throughout the state, rather than the disadvantages to one locality. 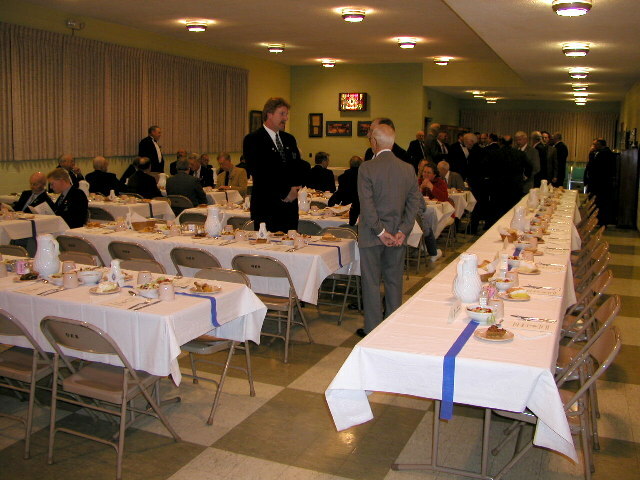 At the present time Yellow Springs Lodge owns the building in which the Lodge room is located, and the building adjoining on the south used as the banquet room. The lower floors are rented as business rooms, from which service rental is obtained. 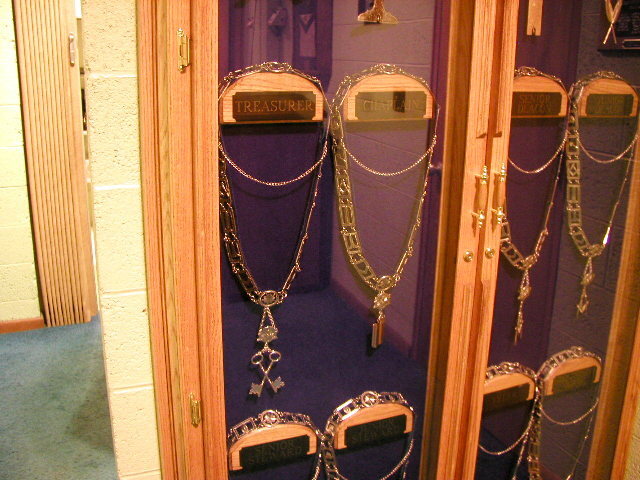 In addition to the real estate, the Lodge has several thousand dollars worth of securities—mostly Government bonds. 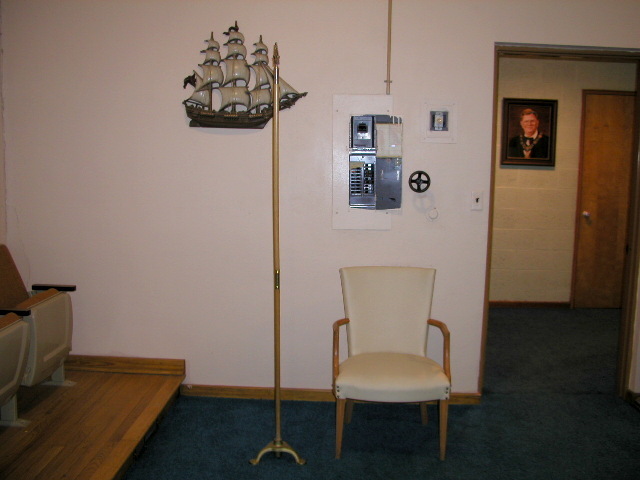 In addition to the members of Yellow Springs Lodge living in several parts of Ohio, others of our members reside in nineteen or more states of the United States; District of Columbia; Honolulu, Hawaii; and Toronto, Canada. 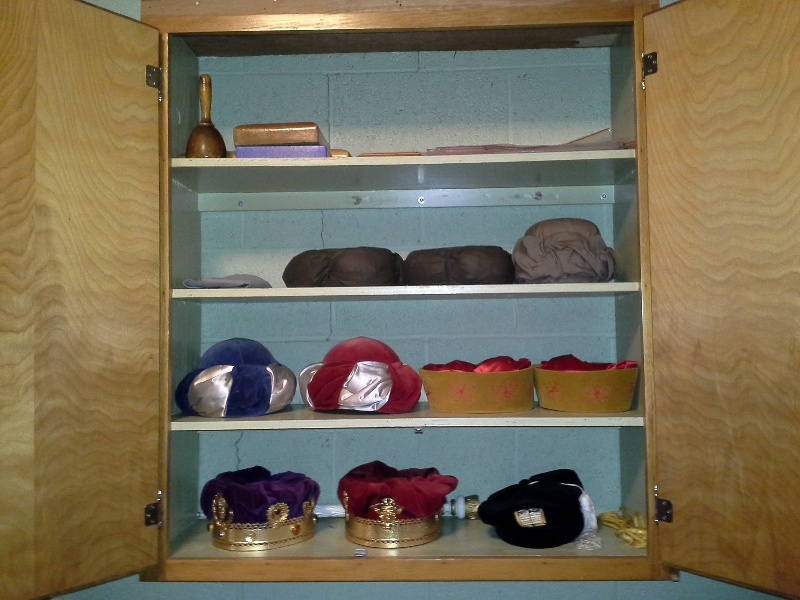 Sojourning Masons whose memberships are in other Lodges reside in our locality. Their presence at our activities is always welcome. 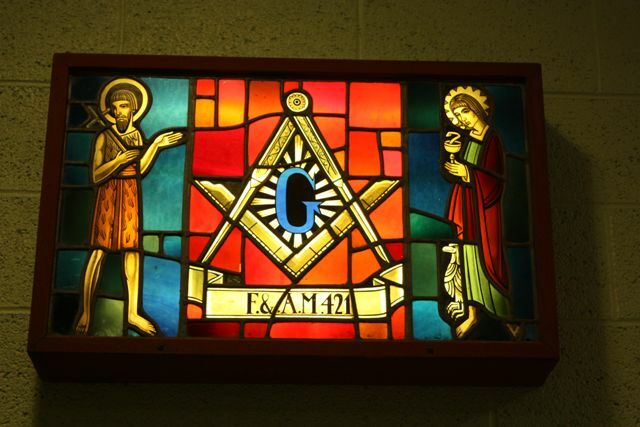 Many of the Founders of our Nation were Masons. Masonry and the liberal principals of our Government always have worked together for the good of all. 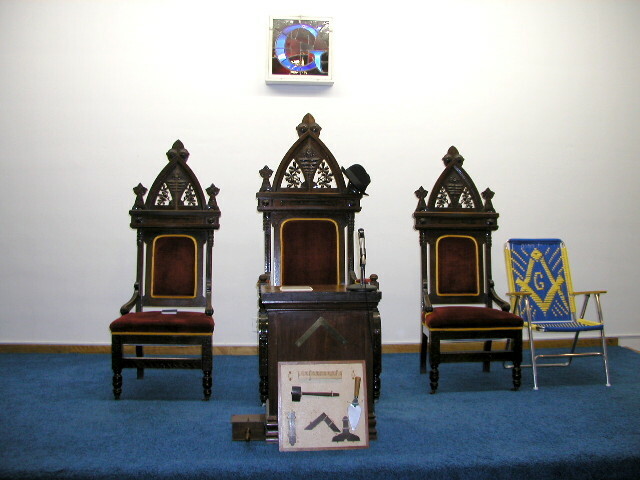 Masonry now is closely connected with the Governments of the Nation and State of Ohio. Franklin D. Roosevelt, President of the United States, and John W. Bricker, Governor of Ohio, are members of the Order. On November 10, 1940, the Post office Department of the United States and the Grand Lodge of Ohio, of which Yellow Springs Lodge is a constitutant part, unite their activities to lay the cornerstone of the new post office building. Our hope is that down through the years the United Sates and Masonry may continue to work together. More History: In the summer of 1868, eight Master Masons from Yellow Springs wanted to form a new Lodge. Since none of these eight had served as Master of a Lodge, they approached Worshipful Brothers Harvey Vinal and Robert B.V. Christy of Clark Lodge No. 101 at Springfield to help their cause. These Masons withdrew from Clark Lodge for the expressed purpose of aiding the Yellow Springs Master Masons to form a new Lodge. 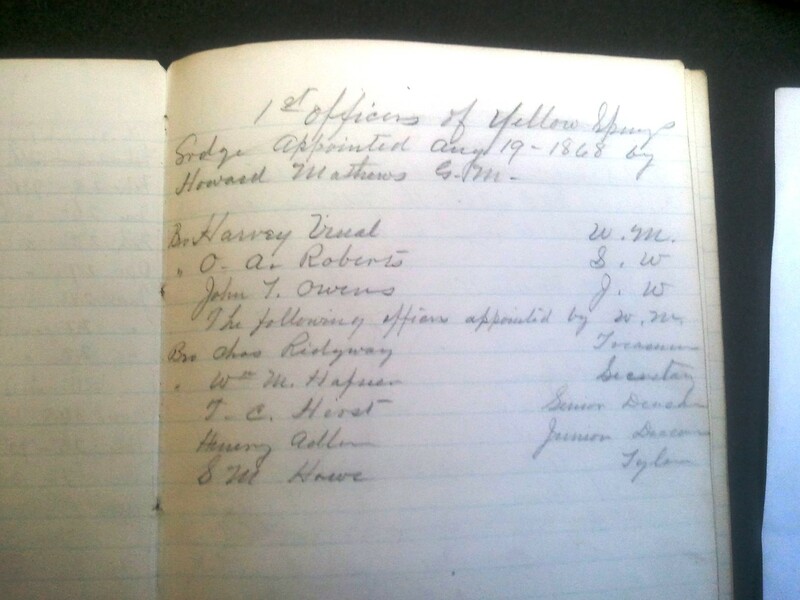 On August 19, 1868, Most Worshipful Brother Howard Mathews, Grand Master of the Grand Lodge of Ohio, granted a dispensation to the Yellow Springs Masons to work and transact business. The Grand Master appointed an Officer line with Worshipful Brother Harvey Vinal as Worshipful Master. And, on October 21, 1868, the Grand Lodge granted a charter to Yellow Springs Lodge, assigning the number 421. The Lodge began work in a second story room in the Haffner Building on Xenia Avenue and remained in that location for two years. 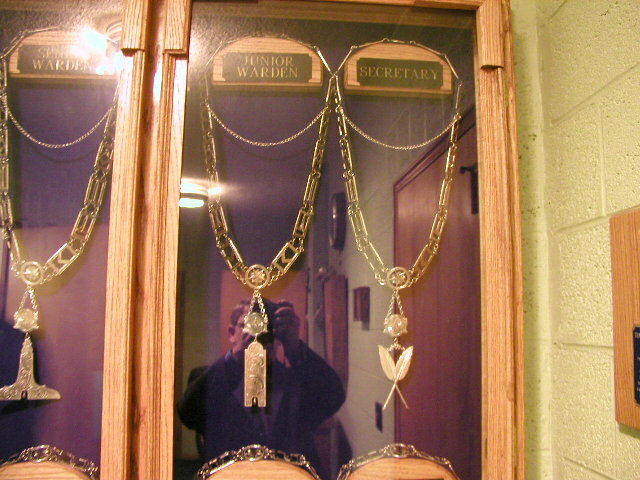 The next thirty-eight years found the Lodge in several different locations in Yellow Springs. In 1907, the Lodge purchased the structure in the current location and occupied the building in 1908. That building was destroyed by fire and explosion on 2 May 1954. Following the destruction of the Lodge, a Dispensation was granted by the Grand Master, Most Worshipful Brother John I. Guss on 5 May 1954, empowering and authorizing Yellow Springs Lodge to meet in the IOOF Hall until the Lodge was rebuilt at the same location and Cornerstone Ceremonies were held on 21 November 1954. The first Stated Meeting was held in the new building on 6 June 1955. 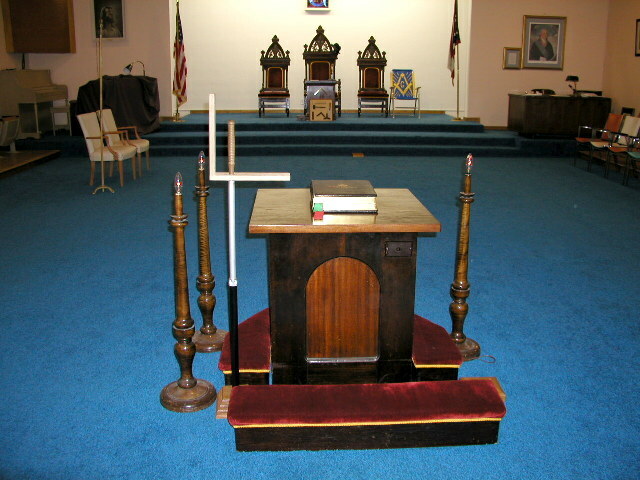 Some notable distinguished Masons from Yellow Springs include the following: Right Worshipful Brothers Frank L. Curry, Raymond E. Ashbaugh, William J. Siegel, and Donald E. Lewis. P.D.E.O. : Worshipful Brothers, William B. Frantz, Bill Perks, and Jackie D. Butler II. Yellow Springs Lodge No. 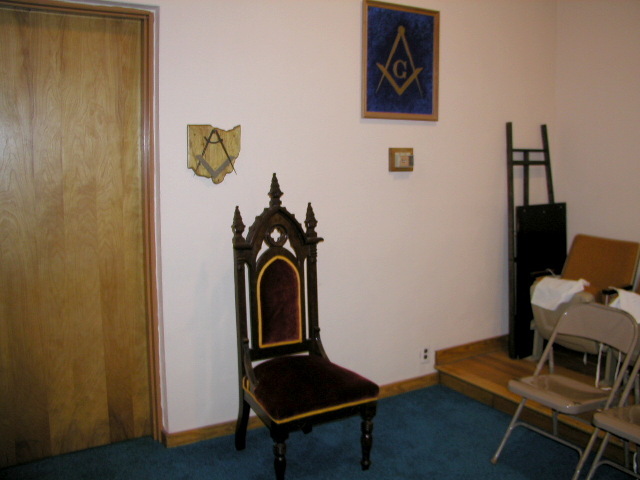 421, Free and Accepted Masons, was chartered on October 21, 1868, the same date on which Warner Lodge of Xenia was chartered. 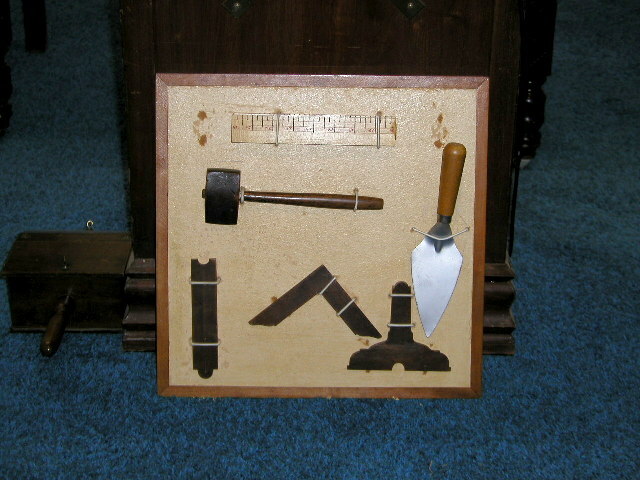 The charter members were Harvey Vinal, Oliver A. Roberts, John F. Owen, A. E. Duncan, Charles Ridgway, William M. Haffner. T. C. Hirst, Henry Adler, E. M. Howell and Robert V. B. Christy. One of these charter members, T. C. Hirst, is still living. 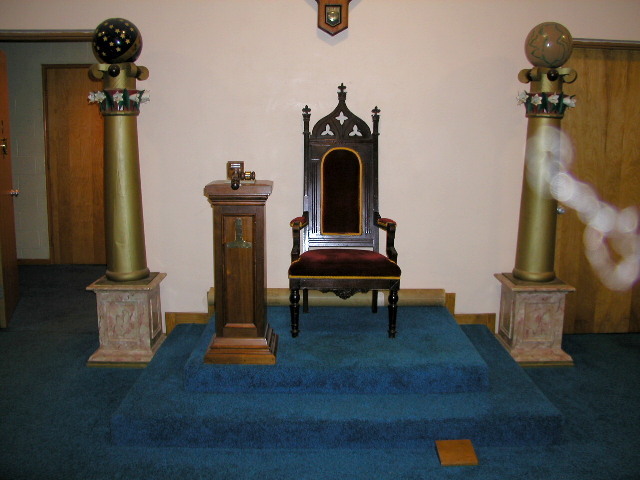 The first officers were as follow: Harvey Vinal, worshipful master; Oliver A. Roberts, senior warden; John F. Owen, junior warden; Charles Ridgway, treasurer; William M. Haffner, secretary; T. C. Hirst, senior deacon; Henry Adler, junior deacon; E. M. Howell, tyler. The lodge owns a two-story brick building on the west side of Xen: avenue between Corry and Short streets. 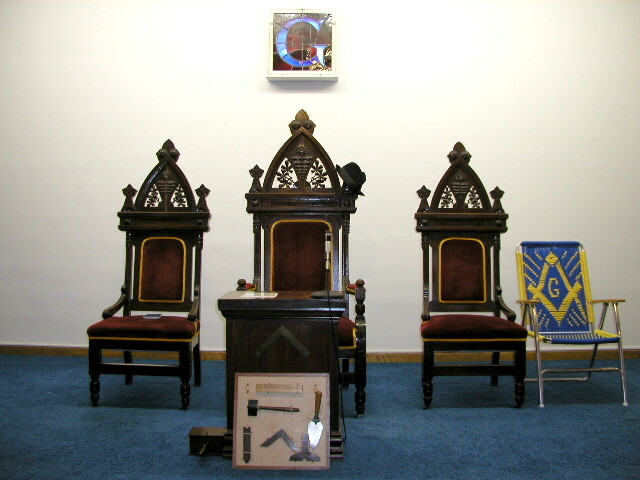 The masters of the lodge since J68 in the order of their succession are as follow: Harvey Vinal, W. G. W litehurst, C. P. Hart, William Protzman. T. C. Hirst, A. F. Hopkins, J. M. Harris, T. B. Jobe, F. W. Miller, J J. Hirst, W. E. Carr, W. H. Humphrey. B. F. Hoagland, W. A. Shroufe, J. E. Dale, C. E. Emerick, O. P. Hendrixson, Milton Shaw, L. H. Braley, L. H. Jones, A. F. Shoemaker, H. E. Tucker, A. W. Humphrey, P. M. Stewart, Thad P. Carr, J. H. Harris, R. O. Wead, J. M. Fawcett. J. H. Birch, C. W. Figgins and W. E. Littleton. 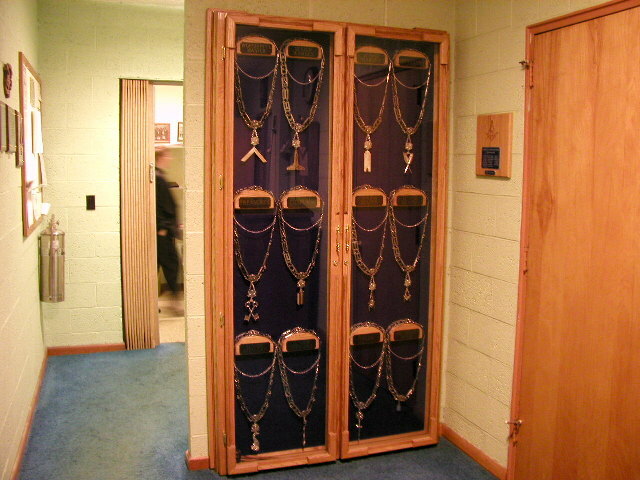 The lodge now has a membership of one hundred and■ fourteen. 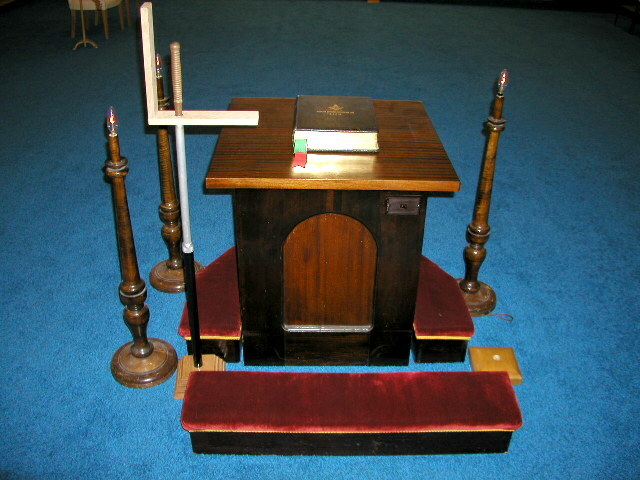 The officers for 1918 are as follow: W. A. Layton, worshipful master; C. M. Preston, senior warden; W. B. Corry, junior warden; G. F. Littleton, treasurer; C. H. Ellis, secretary; E. H. Beard, senior deacon; L. O. Reed, junior deacon; John P. Confer, tyler; T. C. Hirst, chaplain; R. O. Wead, senior steward; W. E. Littleton, junior steward; W. E. Littleton, acting past master; L. H. Jones, T. P. Carr and P. M. Stewart, trustees.